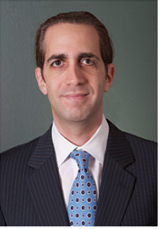 Attorney Andrew Weinstein is the Managing Partner in the Weinstein Law Firm. As a Trial Attorney focusing on Personal Injury law and Insurance Litigation, Andrew has successfully resolved several thousand cases for Florida consumers and healthcare providers. Andrew received his Bachelor’s Degree from the University of Central Florida, and obtained his law degree from Nova Southeastern University. He is admitted to practice in all Florida courts, as well as the United States District Court for the Southern District of Florida, the United States District Court for the Middle District of Florida, the United States Court of Appeals for the Eleventh Circuit and the United Stated Court of Appeals for the Federal Circuit.